Ascott has strengthened its leadership position as the largest serviced residence operator in south-east Asia with the clinching of seven new management contracts, adding over 1,500 apartment units to its portfolio. It has expanded in Bangkok in Thailand, Hanoi in Vietnam, and Petaling Jaya in Malaysia while venturing into Bandung in Indonesia, Penang and Shah Alam in Malaysia, and Nha Trang in Vietnam as demand for serviced residences heats up. It also celebrated the opening of Somerset Medini Nusajaya, Ascott’s second serviced residence in Iskandar Malaysia. Lee Chee Koon, Ascott chief executive, said: “Southeast Asia is Ascott’s fastest growing market and second largest globally after China. “We started the year strongly by increasing Ascott’s portfolio in Southeast Asia to more than 15,000 apartment units across 80 properties in nine countries. “Currently, about 40 per cent of our apartment units under development globally are concentrated in this region. “We continue to see strong growth opportunities in the south-east Asian markets, underpinned by rapid urbanisation, a large young population and rising domestic consumption. “The recently established ASEAN Economic Community that aims to integrate these markets and lower trade barriers will further increase foreign investments, fuelling demand for quality accommodation. 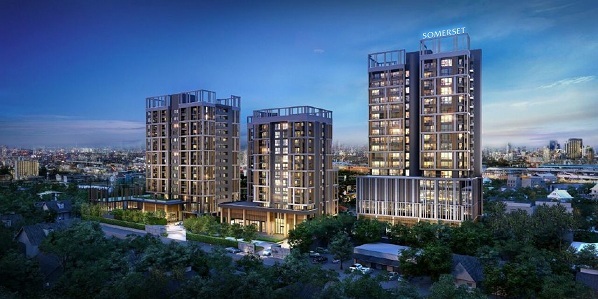 He added: “Besides growing Ascott’s presence in the capital cities, our entry into secondary cities such as Bandung, Penang, Shah Alam and Nha Trang will allow us to cater to the increasing demand for international-class serviced residences in these markets. “Ascott will be the first international serviced residence company to set foot in these markets, as we have built a strong reputation for top quality and reliability, which are of utmost importance to travellers, expatriates and property owners. Bandung is the third most-visited city in Indonesia after Jakarta and Bali, attracting business, meetings and incentives as well as leisure travellers. Penang and Shah Alam are both home to industrial parks housing multinational companies and popular with domestic and international tourists. The coastal city of Nha Trang is one of Vietnam’s key tourist destinations and an emerging economic hub of South Central Vietnam. The new Somerset Ekamai Bangkok and Citadines Bayfront Nha Trang are slated to open at the end of 2016 while Somerset West Point Hanoi will open in 2017. Citadines Kings Bandung, Citadines Ara Damansara Petaling Jaya, Citadines Batu Maung Penang and Citadines Montfort Shah Alam will open progressively from 2019.